I absolutely adore all the spooky cute Halloween snacks I’ve been seeing on Pinterest, but the girls and I wanted to come up with some new ideas this year as well. 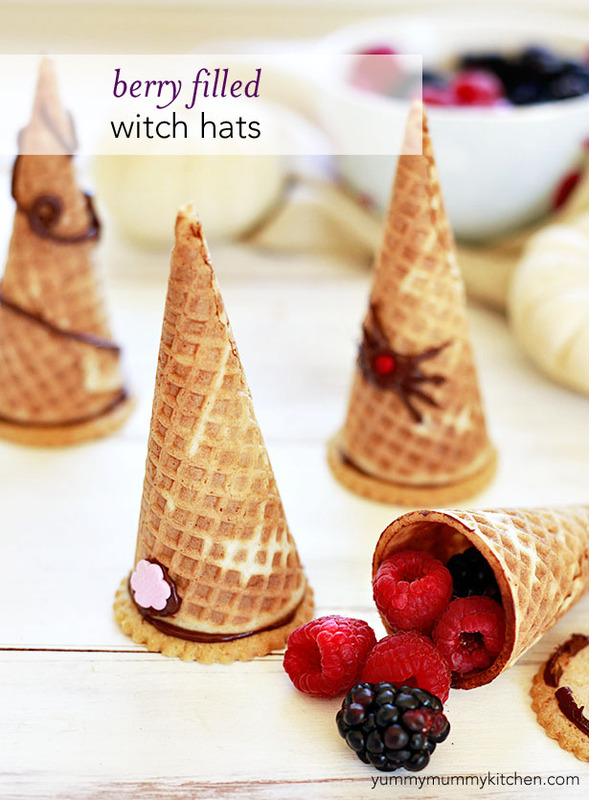 After our Candy Corn Popsicles, we dreamed up with these cute witch hats made with pointy cones and filled with berries. All you need is a piping bag filled with melted chocolate, some sugar cones, and thin cookies that are a little wider then the base of the cones. We like these organic cones we found at our local natural foods store. 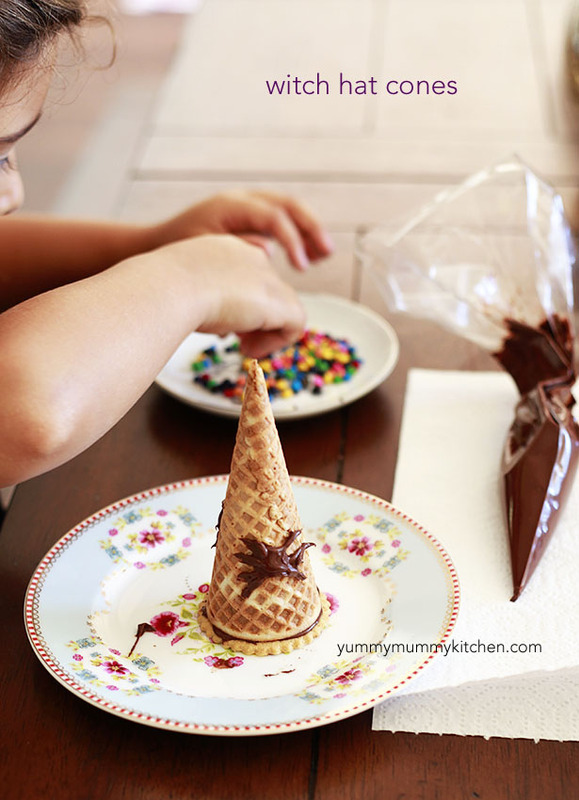 Decorating the cones with melted chocolate and sprinkles was a fun afternoon project for the girls. Aren’t they cute? Place chocolate chips in a microwave safe bowl and heat for 30 second intervals, stirring between intervals, until smooth. Let cool but not harden. Transfer to a piping or plastic baggie with the corner snipped off. 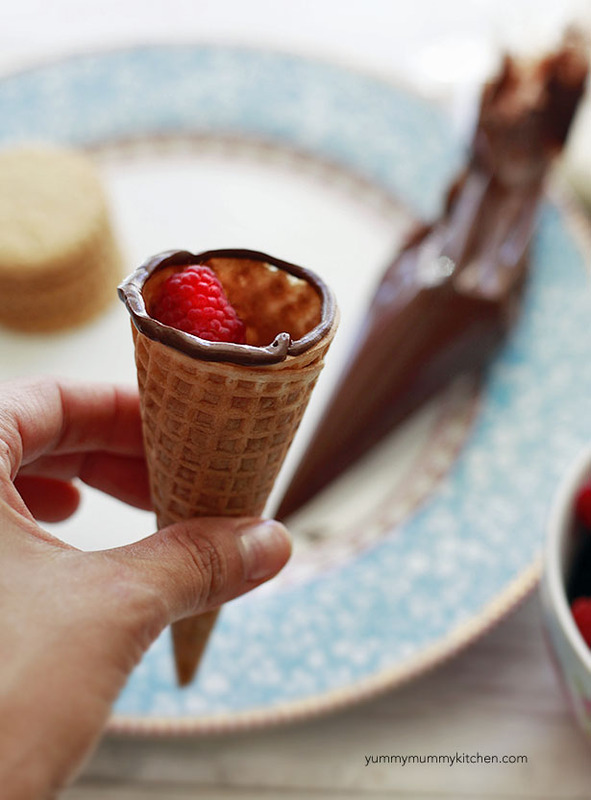 Place a few berries inside a cone. Pipe a ring of chocolate on the edge of the cone. Place a cookie on top to cover and seal the cone. Turn cone over and place cookie side down. Decorate with chocolate and sprinkles if desired.